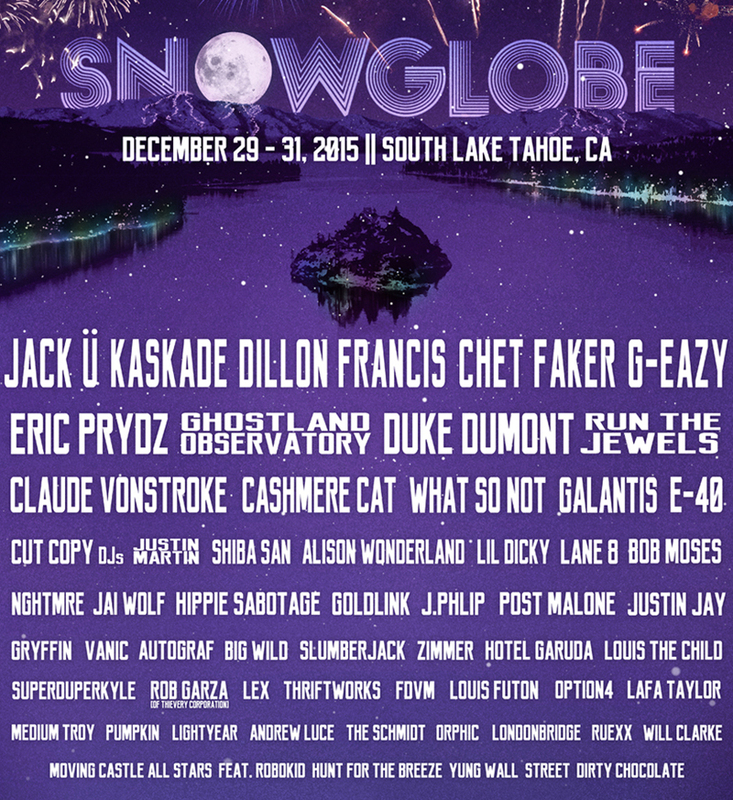 More big names have been added to the 5th annual SnowGlobe, returning to South Lake Tahoe, CA for another three-day NYE celebration at the end of December. Hip-hop gets a couple of bumps in the form of G-Eazy, Run The Jewels (Killer Mike & El-P), and Lafa Taylor. Eclectic electronic fans will be happy to see Bob Moses, Louis The Child, and Rob Garza of Thievery Corporation added to the pile. These names join Jack U, Kaskade, Dillon Francis, Chet Faker, Eric Prydz, and the newly reformed Ghostland Observatory. The annual NYE celebration also packs in plenty of activities, as the northern California location is in spitting distance of skiing, snowboarding, and all your other winter sports. Bundle up and head up the mountain to pristine Lake Tahoe, where the festival spreads out over three days: December 29-31, 2015. Ring in 2016 with some of the biggest names in electronic dance music. Visit www.snowglobemusicfestival.com to grab your tickets, and get your lodging situation sorted.